A convicted robber became a visual artist to push his maximum sentence behind bars when he started to concentrate on his talent. Norman Lyons (28), a convict at Baviaanspoort Maximum prison near Pretoria, Gauteng is currently serving 15 years sentence for arm robbery with aggravating circumstance. Lyons was found guilty and sentenced by Germiston Regional court last year. It was strange for such a creative young man to be so passionate about fine art. “I have developed a love of art at an early age from my mother who was a self taught artist. Unfortunately she died before I realize my dream of becoming a professional artist one day”, he said. 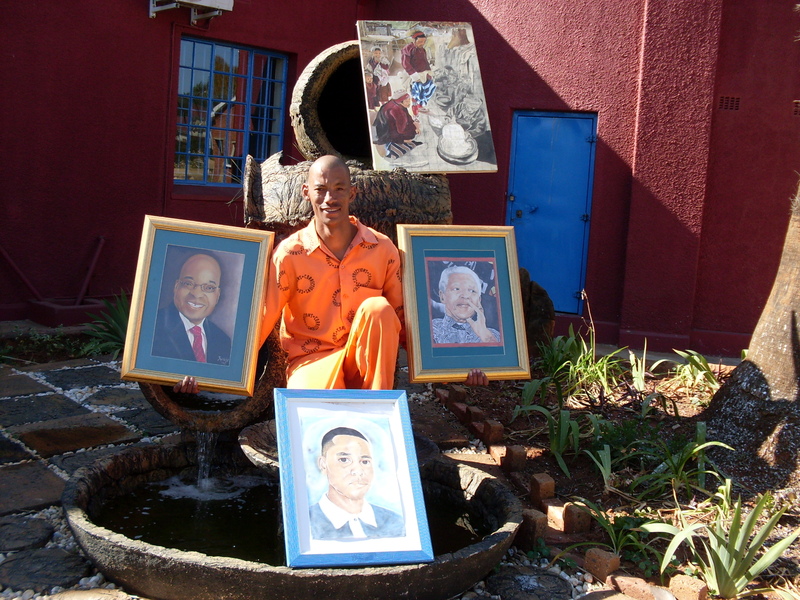 “Art is in my blood and I feel inspired to keep Correctional service officials and fellow inmates complementing my art work. It is a tribute to a poor woman who brought me on earth,” he explained. Lyons shares his artistic soul with fellow prisoners. He is seen as a ‘teacher’ by fellow inmates he is sharpening their art skills in pencil and paint drawing. “I decided to start a new life behind bars when I realized that I deserve to be given second chance when I finish serving my sentence,” he added. He described prison as ‘hell’. I am now learning through painful experience. I keep myself away from vulnerable temptation of engaging in gangsterism. Lyons urged those willing to assist with art material and training to contact Baviaanspoort Maximum Correctional centre Head and Deputy Director, Sydney Maseko on (012) 841-8665.